Needlepoint Holly has a broad growth habit reaching 10 feet tall and 12 feet wide. Ilex cornuta ‘Needlepoint’ is very similar in looks to the Dwarf Burford Holly only it has a more upright growth habit and it is slightly taller when fully mature. 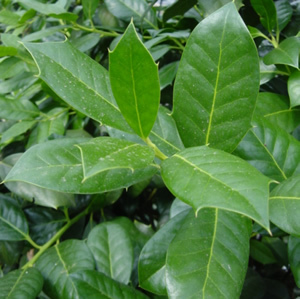 It too has glossy dark green leaves with a small point on end. Produces masses of dark red berries.